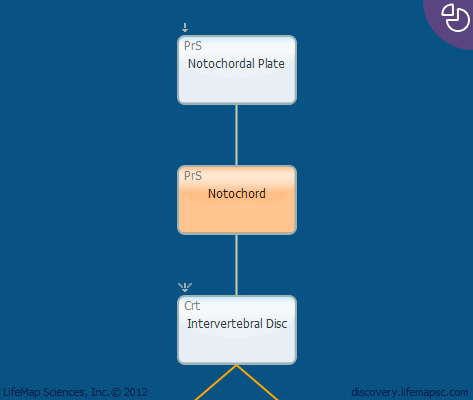 The notochord originates in the primitive pit and is preceded by the notochordal plate. Following detachment from the underlying endoderm, the notochordal plate's free ends fuse and the whole structure rolls into a solid rod which is called the notochord. The notochord plays important inductive and patterning roles in early development. In humans, the notochord contributes to the development of the transient nucleus pulposus structures located at the center of the vertebral discs (which are replaced during childhood by adjacent mesodermal cells).